As iPhone sales fall, what is the core reason for the Apple slump? Whilst the battle for market share between Android and iOS remains as fierce as ever, the demand for the latest Apple handset seems to be slowing. Formerly a battle between Samsung and Apple, other contenders such as Huawei are coming up the ranks with a more attractive price point. In the last month, tech giant, Apple, revealed it was losing $7bn from iPhone projected sales, followed by an announcement that it plans on cutting production by 10% across all iPhone models. The company blamed China’s weaker economy and trade tensions for the slump. Could this be the beginning of the end of Apple’s dominant hold on the global smartphone market? Despite Apple launching its two premium handsets – the iPhone XR and XS – in October 2018, data from PriceSpy reveals that consumers were actually still looking for older models – such as the iPhone 8 – during the month. 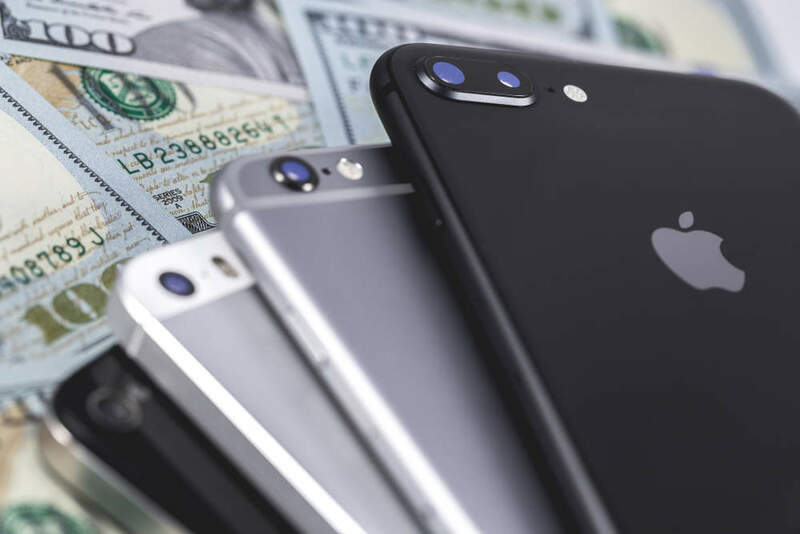 Fast forward to the start of 2019 and, whilst the iPhone 8 has since dropped in popularity, ironically its predecessor, the iPhone 7, has overtaken it as the third most popular mobile phone across PriceSpy. The newer iPhone XR and XS are only just making it into the top 20. Could it be price that is putting shoppers off newer models? The iPhone XS retails at £999 and the XR at £749. This is in comparison to the iPhone 7 retailing at £449 and the iPhone 8 at £559. Over the years, Apple has gradually pushed up the price point of its handsets in line with new and improved features. Battery life is always one feature that gets an upgrade with each new model. For example, the iPhone 7 lasts up to two hours longer than the iPhone 6s and the iPhone XS lasts 30 minutes longer than the iPhone X. However, when comparing the features of Apple’s oldest handset still in market, the iPhone 7, and the newest model, the iPhone XS, it is unsurprising that consumers are questioning the hefty £300 difference in price. The most noticeable additions in the iPhone XS are an extra 1.5 hours of battery life, Face ID, wireless charging and an upgraded bionic chip. Is this enough for consumers to throw in their old model and upgrade? Clearly not, given the excitement the company generated around its two new handsets isn’t translating into sales. Perhaps as innovation slows in the mobile phone sector, so does consumers’ appetite for the latest model. Does Apple’s cut in production therefore reflect the fact that the majority of the population can’t afford the higher price points? Or is it a reflection of the reduced value consumers place on these new features? If Apple is reducing production by 10%, where is this market share going? PriceSpy data shows that UK consumers are increasingly looking at Chinese manufacturer Huawei. It has gone from having just one phone in the top 25 in September 2018, to having three in the top 25 at the start of 2019. Huawei is innovating the market through new, unseen-before features. Both Samsung and Apple’s premium models, the Samsung Galaxy S9 and iPhone XR, offer a 12 MP camera. Whereas Huawei’s P20 Pro boasts a 40 MP camera and battery capacity of 4000 mAh, compared with the iPhone XR’s 2942 mAh battery capacity. It is easy to see why the P20 Pro was voted the best smartphone at the EASA Awards, when its premium models’ features are more advanced than both Samsung and Apple. It may be a while before Huawei gives Apple and Samsung a run for their money, but it does show that both tech giants are losing out on a piece of the popularity pie.